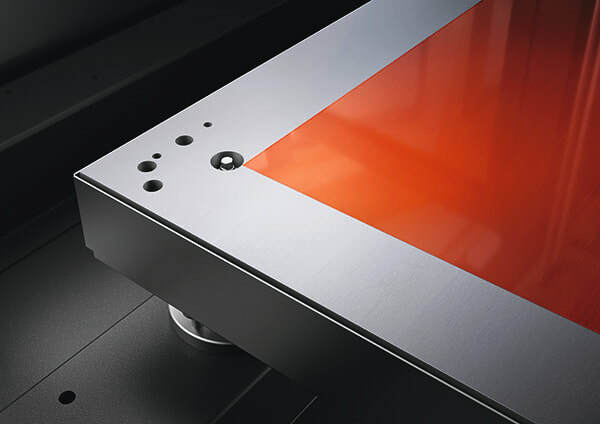 An insulated enclosed metal frame ensures optimum even temperature control and the glass doors o er an optimal view on the print. 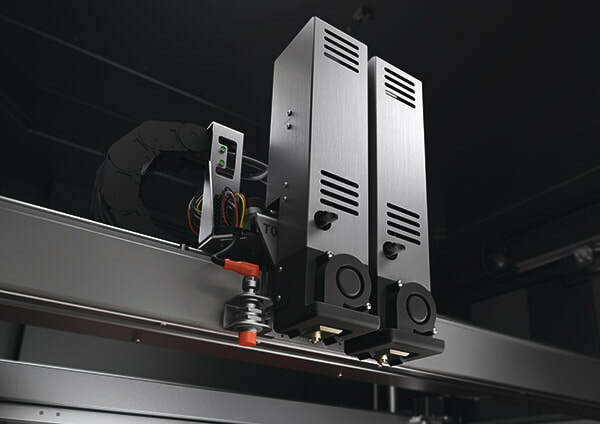 Further improving safety is the PRO’s compatibility with standard ventilation systems, for fume and emissions control, making it a best practice example for 3D printing in industrial environments. 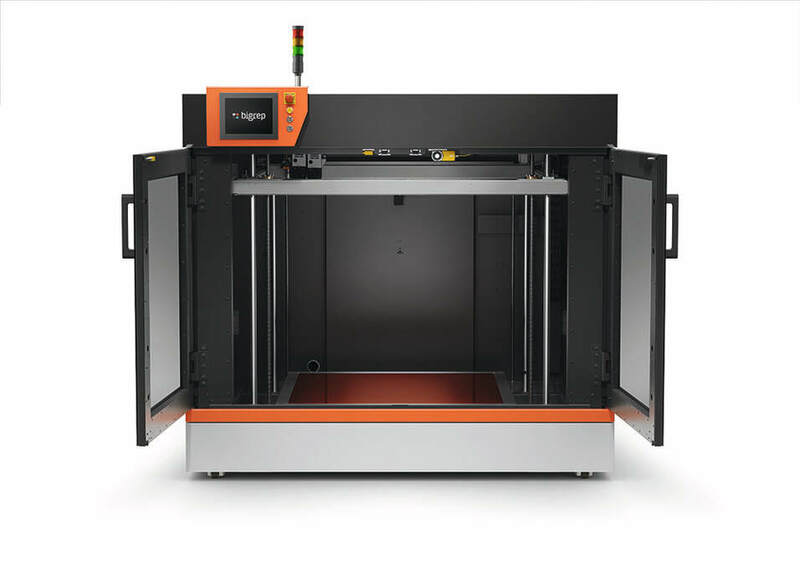 Bigrep is introducing a metering extruder technology (MXT) with exceptional speed and precision, which is one of the defining features of the PRO. This state-of-the-art extruder allows for ultimate control on the materials deposition, allowing users to achieve the highest quality for every application. 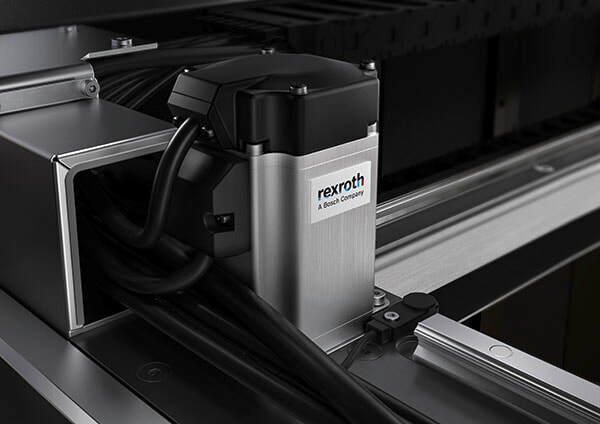 A new state-of-the-art Bosch Rexroth CNC motion- control system makes the PRO the ideal machine for controlling the entire printing process, from start to finish. 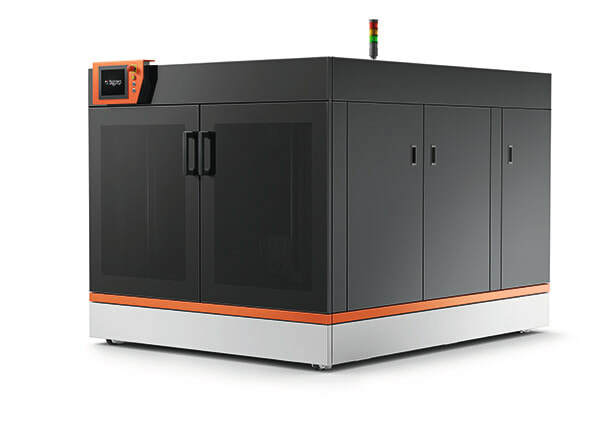 Widely used in the automotive industry, the Bosch system ensures maximum responsiveness, accuracy and closed-loop control in Bigrep’s industrial- grade machine, as well as superior connectivity. 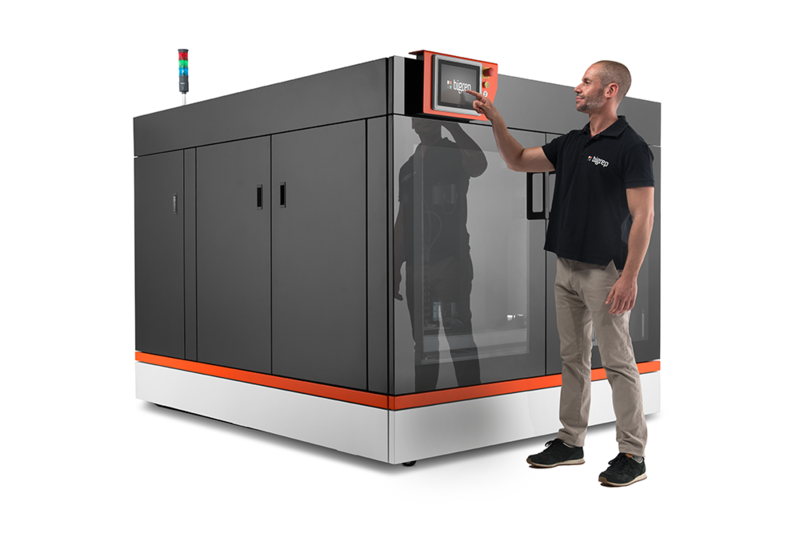 The Bigrep PRO has been specially designed to print with engineering-grade materials, to bring serious designs to life in all production environments. Bigrep has developed its own filaments in these categories that have been optimized for high-level performance on the PRO. 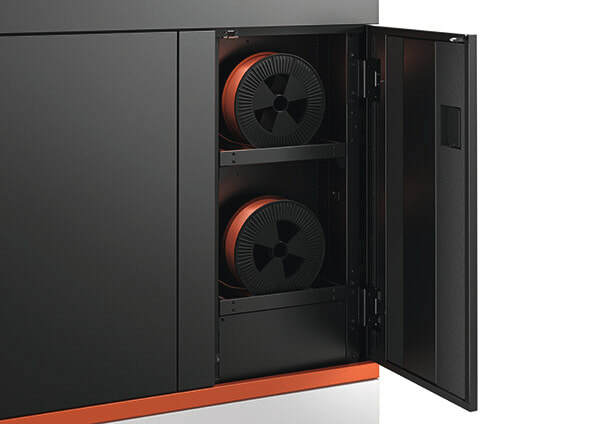 Bigrep undertakes a rigorous testing and certification process, which underpins its material research and development – quality machines deserve the highest quality materials.